Roughly 20 minutes north east of Dunedin lies a piece of bush that’s home to some of New Zealand’s rarest native animals, thanks to the predator fence which surrounds this Ecosanctuary. This is the place to come to get out into the rejuvenated bush, go for a walk, try and spot some birds, weta or Otago skinks and enjoy nature. The walking tracks are divided into level of difficulty and you can see these on the track map here. One path is suitable for buggies and wheelchairs but on others you might want to think about carrying younger kids in a backpack or front pack. If you’re visiting for the first time, it’s worth talking to the staff at reception which track might best suit your family’s needs. 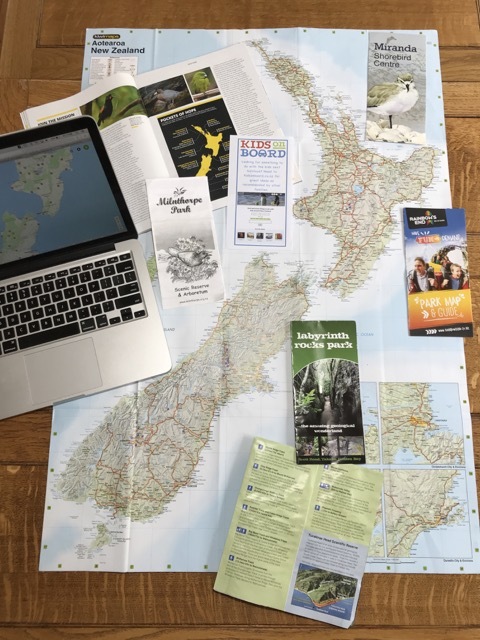 You can also ask about the treasure hunt that they have for kids and Kiwi Guardians trail (check DOC’s website here for ideas). There is a cafe onsite in the visitors’ centre but you can also take a picnic into the Ecosanctuary to enjoy during your walk. It’s worth making sure that everyone goes to the toilet before you leave the visitors’ centre (where they also have nappy change facilities), as there are no toilets within the Ecosanctuary. Keep a look out on their Facebook page here for a Nature Play area and Arts Trail which will include wildlife stencil rubbings for kids, both of which will hopefully be available at Orokonui towards the end of 2016. Address: 600 Blueskin Road, about 20km from central Dunedin between Port Chalmers and Waitati. Price: Adults $19, Kids (5-18 years) $9.50, Preschoolers are FREE. Family Pass (2A+3K) $47.50. These prices are for entrance and self-guided walks. You can also pay for guided tours, check here for prices.